A BUMPER crowd turned up at Tamar Saracens’ Parkway ground on Sunday for the annual Paul Lethbridge Memorial Game. The event is now in its fifth year and keeps getting bigger and bigger. The glorious weather at the weekend also helped pull in the numbers, with representatives from nearly all the Plymouth Combination clubs present. New Devon RFU president Treve Mitchell was also in attendance. 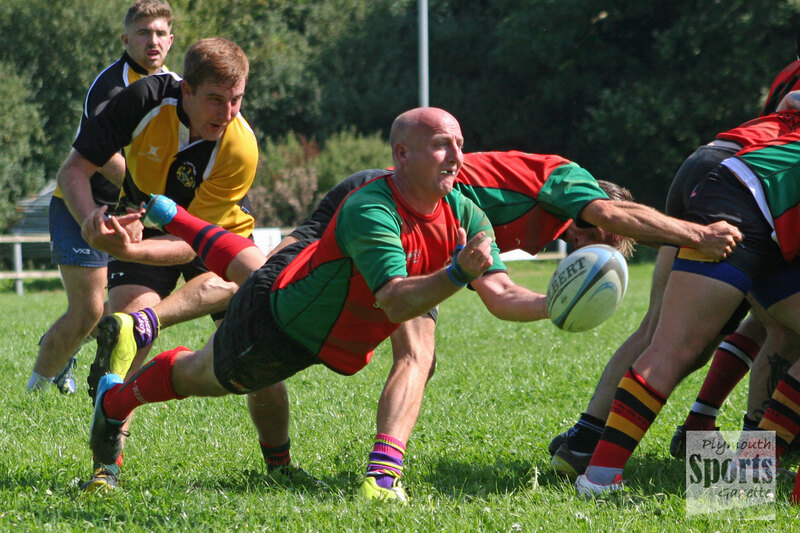 The event saw two of Paul Lethbridge’s former clubs – Tamar Saracens and Old Techs – and a Plymouth Combination side play a round robin tournament, with each game an hour long. Half of each squad had to be over the age of 35. Old Techs ended up overall winners by beating Tamar Saracens 19-14 in the deciding final match. Techs had beaten the Plymouth Combination XV 36-12 in the first match, while Saracens overcame the same opponents 45-5 in the second game. Organisers are hopeful they will make more than £3,500, which is the figure last year’s event raised. This time around the money will not only go to local rugby, but also the British Heart Foundation and Cancer Research UK. All pictures are low resolution for website use.